Llopango, El Salvador, was the location of the devastating 536AD eruption which caused a decade of volcanic winters and affected humanity worldwide. It ended the resurgence of the Roman empire, thereby changing history. What did it look like before the eruption and what danger signals were there? This blog has tried to identify high-risk volcanoes and I think came up with very valid suggestions. But that did not focus on VEI7 eruptions, but rather on volcanoes with local dangers. Which ones did we miss? Which ones are biding their times, living quietly while building up to a big explosion? Which ones erupt often but little, until one day the edifice collapses and it self destructs? This brief post is meant to stimulate a discussion on this. There is a tendency to look at what volcanoes have done in the past, when predicting risks for the future. But it takes a very long time to recover from a VEI7 eruption and many volcanoes never will. At a typical recharge rate of 0.01 cubic km per year, it takes 10,000 years to get 100 cubic kilometer of new magma, which is what a VEI7 erupts. Recent history may therefore be a poor guide. There are other things to look for: large volcanoes near big calderas may indicate potential danger. For instance, San Salvador volcano is close to Llopango, the caldera responsible for the AD536 disaster. Thus, the area is capable of destruction and it has a volcano. But that is a tad general for basing predictions on. There is a reason to discount regions with recent large eruptions. Volcanoes occur close together, but super eruptions avoid each other. Once an area has had a super eruption, it will not have another for a long period of time. This is shown in the figure below, where the filled circles show super eruptions (VEI8) of the past million years. A super eruption depletes a large region of magma, or perhaps damages the strata too much. To what degree is that also true for VEI7 eruptions? We may not expect an VEI7 from near Tambora, Kuwae, Rinjani, Llopango for the next few thousand years. Tambora and Rinjani were a bit over 100 km apart. Perhaps we can draw a 100-km exclusion zone around recent eruptions. After the eruption the main feature will be the caldera, often a huge lake. How about before the eruption? Tambora is the only VEI7 where we know what the volcano had looked like. It was a stratovolcano over 4km high, and was among the highest peaks of Indonesia. One volcano is a small sample for statistics, but perhaps we can take this as an indication that we should look at tall volcanoes as candidates. Tambora was only mildly active, with the last measurable (i.e. significant) eruption before the big one dated to 740AD (+-150 years). Perhaps Cotopaxi was a bit like Tambora in this respect? It is a huge stratovolcano with numerous but small eruptions. Over the next 1000 years, one may expect 3-5 low VEI7 to high VEI6 eruptions (measurement uncertainties makes the dividing line a bit fuzzy). Which do you think will be the new calderas of the year 3000? But the wheels turn again. Eruptions don’t last. Cotopaxi, nearly 6km high. Is this a candidate for a future VEI7? Nice article and wonderful poem! What a treat. Thank you! Going on massiveness and isolation from other recent big bangs alone, Elbrus and Paektu immediately come to mind. Another would be Silverthrone or the huge ones in the Qinghai district of China around Taiyang Lake, only because of the lack of monitoring and, again, size and isolation from other large boomers. Elbrus probably not, I think. Although it is extremely tall, it sits on top of an ordinary mountain and the volcano part is less tall (perhaps 2km). Paektu was on my list of possibilities. I don’t know the others well enough! Silverthrone caldera is an interesting choice, as so little is known. Why did you pick Lake Taiyang? I tend to think Baektu is a good way off from doing anything large again. 1000 years back from a vei-7 eruption isn’t all that much time to recharge or rebuild, unless there is a ridiculously large magma chamber beneath that we’re unaware of. silverthorne is one that could be a nasty surprise. Going on gut feeling and not much else. Queen Mary’s Peak, it’s really far away from other big kablooies, it’s reasonably high(2062) on a small area(may be really high, not sure how the island looks beneath the waves). Also I have no idea what it looks like on the inside. IIRC, the Mazama eruption was not a single, instantaneous event but an eruptive cycle which took about 200 years before the devastating eruption finally happened. If this eruption is anything to judge by, we should look for volcanic edifices that continue to collapse long after the eruption – as we see it from our human perspective of time – has ended. Note: Florida deer are not very large. Just big enough to mess up a car pretty good. A female acquaintance from years go managed to sustain an injury to her hand by hitting a cow. The cow rolled in through the windshield and pinned her hand to the steering wheel. She was driving a Grand Torino so she had the weight advantage even though it was a cow. My uncle had a VW bug a ’64 with the nerfbar bumpers. Unc.married my auntie -they met in college,he was a hoot. Auntie learned some rather interesting Gallic oaths from him. I live in an area likely to be flattened and cut off by the next Cascadia subduction earthquake and I don’t think people have any comprehension of how devastating a disruption of food supply networks would be. They talk about having a week’s supply of food and water on hand. Three months is more realistic, and that assumes that the disaster has not overwhelmed the national disaster response capability. I’ve been in couple of weather initiated psuedo disasters, each time the affected residents were doing well enough getting things back together, until FEMA showed up and made it a mess. It’s been my impression that the amount of corruption in FEMA tends to swamp the positive aspects of disaster aid, especially as time elapses after the disaster. One good argument for trying to keep disaster response more local and regional, but that’s problematic if the area of severe destruction is extensive, as it would be in Cascadia. Why I’m not in Coos Bay, Oregon any more.. The East side of the foothills. Or to Gold Beach, a lovely seaside community directly in the path of maximum tsunami damage. If there is no disaster, fine. If there is, I miss the ugly aftermath. Exactly! The question is what/where they will gather and whom will the citizens of those huge conurbations such as New York, Chicago, LA, London, Tokyo, Mexico City hunt? We are actually discussing the end of civilisation here, not from volcanic ash inhalation and pyroclastic incineration but from the complete collapse of the thin veneer of civilisation we all wear to cover our predatory nature. Just throwing out some names in no real order here. Kronotsky is tall, seems to be in a long period of repose, is likely weak due to glacial dissection, and sits in a region where every other nearby volcano has gone caldera in a large manner. As such, if it wakes up, it very well may go boom in a dramatic fashion, possibly due to a large slope failure, leading into a caldera eruption. Ulawun follows a similar trend you’ll see of the volcanoes I list – tall conical edifice in a region of many caldera large eruptors. Similar to Kronotsky, there is evidence of slumping and existing edifice weaknesses at Ulawun, and if it is anything like it’s neighbors (which is fairly likely), it could be approaching the end of its life-cycle (which would result in a caldera eruption, where it would then start to rebuild in a new cycle afterward). Not much is known of this Amatitlan somma volcano, but it’s enormous, steep, and in a region where many massive flank collapses occur, and in an extremely active volcanic region. The magma supply may have simply been diverted to another nearby volcano, but it also could just be plugged up after growing so large, which may not be a good thing. Almolonga breaks the mold from the previous candidates. It is not the type of volcano that builds a large edifice, and instead is a dome complex that does not have one central vent, and has some very sticky and viscous magma. It features a ring-dike configuration of dacitic and rhyolitic lava domes. In a lot of ways, Almolonga looks much like a resurgent dome complex of a large caldera, but the only caldera it has is a small 3km caldera which may be more of a crater than a true caldera where the magma chamber was destroyed. Another worrisome part of Almolonga is that it sits in a very similar tectonic environment that produces other large calderas – one with both extension as well as subduction magmatism. Amatitlan and Atitlan both sit to the south of it, and I wouldn’t be surprised if it were very similar to those volcanoes. Del Maule has been inflating significantly for quite some time now. It covers a large area, and quite a few publications have noted that it could be a large eruptor if it decides to go. Luckily, it’s in the middle of nowhere, so not so many people will be affected. Yes, Novarupta had a huge eruption just over 100 years back. With that said, I have a suspicion that this could be more of a Crater lake type situation, where we see a large vei-6 that is more of the precursor than the end-result. The alignment of the novarupta vent in the middle of 5-6 volcanoes suggests that the primary novarupta magma chamber is very large, and located centrally away from the small Katmai Caldera. I believe this could mean that there is still a lot more down there that could re-erupt with a decent bit of recharging. Certainly not out of the realm of possibility within 1000 years. Most people here know about Sakurajima and Aira Caldera, but Ata may be the one more worth worrying about right now. Ata is just as large, and unlike Aira, has not been releasing pressure since 885 A.D. Prior to this date, the somma KaimonDake would have frequent VEI-4 eruptions, but everything in this area has gone quiescent since then. That to me is somewhat worrying. Ata also seems to love creating large phreatoplinian eruptions that form maar caldera structures, which would be a disaster if this were to happen. As for other volcanoes, there are so many that are tough to tell. For more traditional andesitic style stratovolcanos, the size and prominence provide a good barometer for when they may or may not collapse. This gives insight into the stage a volcano is in (steep volcanoes have a limit for how large they can grow before they come back down), and can suggest if it’s closer to a collapse event of any variety. But what about volcanoes like those we see in the Taupo Volcanic zone? They pretty much have no edifice, and often, the build-up to an eruption is not all that long. There are many volcanoes like these in the world, and they are often the largest explosive eruptors that are out there. Unfortunately, there isn’t much we can do to tell which may be getting close to an eruption. Some of these types of volcanoes are well-monitored, but the majority are not. Additionally, even for those that are well monitored, the pre-eruptive indicators may often be quite short-lived as we’ve seen with some of the Chilean volcanoes. There are many large rift-valley volcanoes in africa that have large calderas and associated large ignimbrite deposits with them, yet they are almost entirely unmonitored, and very much un-studied. On the other hand, there are many island arc volcanoes that may seem small, but could potentially be huge and ready to blow in a major fashion. Mcauley Island in the Kermadecs had a VEI-7 in the last 10,000 years, and there have likely been similar events at many other remote island arcs around the world. There are just so many to choose from, it’s likely that the next VEI-7 will be from a volcano that is not well-monitored or studied. First the obvious, lets look at the ring of fire, and look for the tallest volcanoes there (above 4km high), for example, in Indonesia, Vanuatu, New Zealand, Phillipines, Japan, Alaska, Central America, Chile, Bolivia, Ecuador. Which ones make up this list? Of those, which ones show constant inflation? I was thinking, what if it was pretty much on top of a huge quake, think 1707 was as a result of two large quakes. The one thing that catches my eye about Fuji is that the last eruption came from a side flank, and was at least fairly explosive. Evidence of slow ground inflation around the edifice might be another clue; but most of the ‘candidates’ aren’t monitored. There are others which fulfil at least some of my criteria (Agung, Bamus, Orizaba, etc) but I rather suspect that the VEI7 when it comes will be from a volcano that is still unknown -as Pinatubo was. Or from a submarine volcano, quite possibly in the series of arcs south of Japan (Volcano Is/Izu/Marianas). Plenty of calderas there, so the environment is right. What do you think of Uturunku? be enough-yet and the inflation is off center from the mountain. I included it on the basis of the rhyolite eruption, indicating there’s rhyolite under them thar hills, and becuse of inflation (south II think – as GL says, not directly under the edifice). Cascades as a whole have a pretty thin record for major (6-7) events, admitted.. The focus of the original discussion was eruptions large enough to have global effects on climate. A VEI5 is nothing to be dismissed if you are anywhere near it – I would not want to be in Bend (population 81,000) when South Sister erupts explosively. It’s somewhat farther away than Pompeii is from Vesuvius, but not much, and the Deschutes river is fed from snowmelt from South Sister. Ah – sorry! I blame my bad case of jet lag for this. Indonesia is a very likely place for another VEI7, and in there I think Semeru, highly active and very tall. And there are the Bromo calderas nearby, which are somewhat old. And also Mt Kerinci as a candidate, tallest and in Sumatra, a very active island. In New Zealand, supereruptions are also quite frequent. Taupo erupted often and very large. If something would happen there it would be likely at Ruapehu. Then the area north of Australia is another likely spot for the next super-eruption. But I dont know so much about volcanoes there and which one would be a likely candidate. Also Central or South America is a likely spot for the next VEI7. In Ecuador Cotopaxi is a likely candidate. Chimborazo is also long dormant, very tall and last eruption was viscous blocking lava. Chile is a likely spot, but many tall volcanoes there and I dont know which one would be likeliest. In Bolivia, Uturunku. Fuji is another candidate. Tall and fits the profile. Indonesia is tough for me to tell. For the volcanoes that are tall and conical but are erupting constantly, at what point do they go from effusive eruptions to large violent eruptions? That’s a big question I have, and I tend to believe that this would happen after a period of dormancy where pressure is allowed to build significantly. But on the same hand, pressure could easily build during small effusive eruptions if the magma ejected during those small eruptions is less than the magma being added to the system. Also, you get quite a few smaller volcanoes that create big eruptions. As for New Zealand, I wouldn’t count on Ruapehu. It is close to the TVZ where you see those massive eruptions, but it behaves entirely different than the other volcanoes of the Taupo Volcanic Zone. I don’t believe the same extensional forces occur to the south of Taupo, which is why you simply get more “standard” arc type volcanism here instead of the enormous explosive eruptions that range from Taupo to Okataina. Maybe Oraejafjokull is Iceland 😉 Ehehehe, tall volcano, powerful irregular eruptions, good magma composition, and proximity to the ocean. Yes lets not forget Iceland. Hekla is of course the most likely candidate. Young stratovolcano, powerful, one day it will make a caldera, just like all other major Icelandic volcanoes. Bardarbunga, Grimsvotn and Katla are the next candidates, and I dont think any other volcano is a serious candidate in Iceland. But let´s remember that as far as we know, there isn´t a VEI7 recorded in Iceland. Just several VEI6s, in Oraefajokull, Katla, probably one of the caldera events in Grimsvotn. Hekla 3 eruption was a large VEI5. Bardarbunga could technically do a VEI6. It has more than enough magma for it. I doubt Iceland will ever create a VEI7. Do not believe the Icelandic underground is stable enough, to create that kind of a magma chamber. It would probably erupt/disperse through fissures, long before VEI7 amounts can build up. 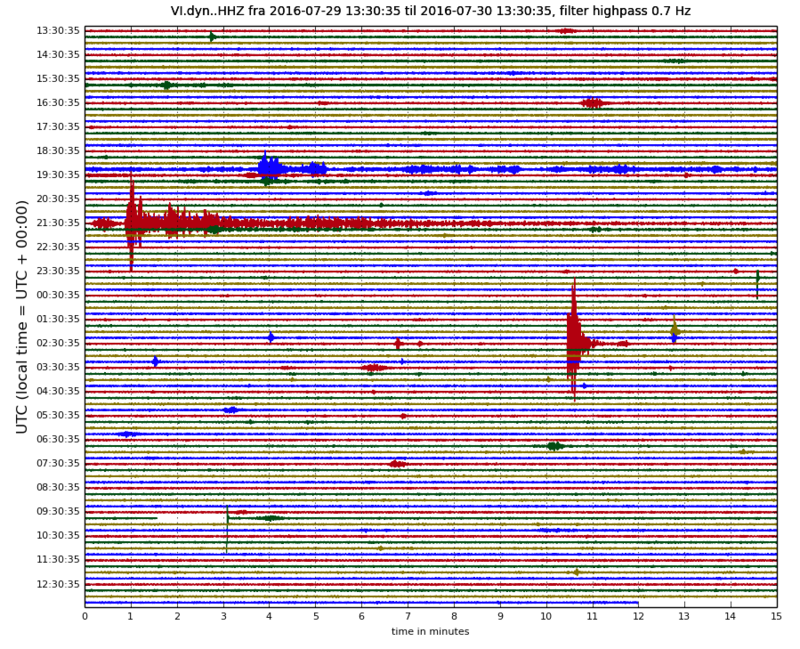 Technically speaking, Iceland already has had a VEI-7 eruption, which may have even been close to a VEI-8. Of course, that was millions of years back. See reference with the link below. This was of course well before Iceland existed. It is from about the time the North Atlantic formed and America and Europe split. Greenland was around but the crust on which Iceland sits didn’t exist yet. A bit like the role of Surtsey in the second world war. Thanks Albert, had that link bookmarked, didn’t realize it was not longer functional. Since it appears Hekla doesn’t have a shallow magma chamber. Does that mean we can rule her out, as a contender for “really big” eruptions for the time being? Still believe Katla, Barabunga and Grimsvötn will continue their fissure eruptions, before we reach VEI7 potential. But I am for sure no expert..
Another interesting facet is that one singular large eruption will dwarf many other smaller eruptions by a truly ridiculous volume. Just as an example, over the last 10,000 years, there have been a few VEI-7 eruptions, and zero VEI-8 eruptions. There have been thousands of VEI-4 eruptions, and many VEI-5 and 6 eruptions. You would think that some volcanoes would perhaps feature among the highest volumes of magmatic output over the course of the last 10,000 years through accumulation of mid-sized eruptions. An example of this is Shiveluch in Russia, which has had over 42 VEI-4+ eruptions in the last 10,000 years, some of which were VEI-5 eruptions, which is truly astounding. But when you add up the numbers, the singular eruption of Krakatoa in the late 1800’s was likely just as large as everything Shiveluch has done over the past 10,000 years. As ridiculous as it may sound, there is a good chance that the 6000 b.c. Kikai eruption erupted more tephra by volume in a single week than any single volcano has cumulatively produced by itself in the past 10,000 years. For context, I posted this since it’s a common trend for many volcanoes to lead up to a large caldera eruption with progressively more explosive and larger eruptions. But once you get to the vei-5-6 range, you simply don’t get that many in a row. Interestingly, Pinatubo has to be a VEI-7 candidate at some point or another. It’s one of the only volcanoes on earth to have had multiple VEI-6 eruptions in this time period, and it has had these eruptions with a surprisingly short repose time. Also, many speculate that it did not really destroy the magma chamber during these eruption periods. If you’re looking for a volcano that has had multiple large eruption that would eventually lead to a penultimate caldera eruption, Pinatubo may be a smoking gun here, even if it won’t go big for a good while. I would assume that Pinatubo would have some time before throwing a VEI7, something like a couple hundred years at least. But your reasoning is right. I would search volcanoes with a couple VEI6 in the past two millenia. But almost all of them are already calderas (like in Vanuatu or Taupo) or otherwise only erupted seldom. Taupo erupted often until the Hatete eruption VEI7, so the pattern was there. From the past VEI6s, Quilotoa seems an ovious candidate, a tall volcano and long repose period. Rinjani seems another good candidate, as the existent VEI7 caldera is large but not very large (perhaps it was not a VEI7 but a VEI6?) and the volcanic edifice is still very tall and massive, and activity is very high there, but with a long repose since last major eruption. Certainly a volcano to watch for. Pinatubo certainly seems a candidate but the last VEI6 was very recent. I also think its good to pay attention to the Katchatka area as eruptions are not so well documented there, and to Alaska. Rinjani was definitely a VEI-7. Google the Samalas eruption – it’s the missing 1258 eruption, likely a good bit larger than Tambora. Also Pago, another excellent candidate for next VEI7 in Papua. 3 VEI6s in past millenia and extremely near the ocean. Just like Tambora was. There is a specialist remark, mentioning the sulfur smell. Slightly surprised no-one has mentioned Ioto yet – on inflation rate alone! large eruptions seem to be often on Islands, will water have an influence here ? This list is _highly_ incomplete.Almost all island eruptions will be missing because they leave little indication of the size of the eruption. I note that as recently as 1809, there was a major eruption of unknown location. You see though that some locations are more likely to have major eruptions than others. Worst is the chain from Alaska to Japan (I know: this mixes different subduction zones). New Zealand and Italy/Greece (the Med) are next. The continental US is on the list but the Cascades are not: recent large eruptions have been further south and in-land. Central America has too few and I am sure there are more hiding. South America has none, and perhaps here eruptions really don’t reach that size. An important thing that is needed for a VEI7 is a very large, not too deep magma chamber. Zones with some stretching/rifting are ideal since it allows magma chambers to grow without increasing pressure too much. Until something gives. Toba happened in such a location and it probably plays a role in the US as well. One thing to take away from that analysis is the phenomenal success of the small TVZ in producing big ones. “the chain from Alaska to Japan” is a hell of a schlep; you can drive across the TVZ in a couple of hours! True! You wouldn’t want to sell property insurance in that region. Of course there are many large eruptions missing from the databases, so the ‘schlep’ may be more active than it seems. Why is Taupo so destructive? I suspect – and I haven’t read many papers trying to answer that question – that it’s a ‘perfect storm’ of various factors. The relatively thin continental crust in Zealandia; the nature and volatile content and rate of the magma supply; the particular extensional regime operating in the TVZ allowing large magma reservoirs to accumulate etc. All together it’s allowed the TVZ to ‘go big’ much more frequently than other volcano-tectonic settings which have much longer repose times between VEI7+ in individual systems. And in other news: Australia is on the move again. yes. This could be considered mass migration and will give a real problem when Australia begins to enter Indonesian waters. Will it be send back? Would tectonics have a play here, per chance? Bear with me on this, please. With the exception of Yellowstone, Icelandic, and maybe a few others, most of the volcano mechanics is driven by melt from a subducted/subducting plate. Even the very large land-locked ones in North America (Long Valley, Valles Caldera, & CLIP – to name a few) are/were/or have been suggested to be associated with the subduction of the Farallon Plate way back when. So, maybe we need to start looking where there has been some of the larger plate movements have occurred “lately”. Being a complete novice at plate tectonics and volcanic (subduction or otherwise) mechanics, never the less, it seems logical that a fresh influx of plate material (be it Farallon, Juan de Fuca, Gorda, or Challenger subducting under North America, for instance) along with the frictional and hydrologic forcing associated, would “quickly” add new material and pressure to existing magma chambers along the arc(s). Using the CSZ and Cascade Arc (from Silverthrone to Lassen), some of the more recent “large-ish” eruptions correlate (I know, correlation is not causation) with suspected historical full-margin ruptures of the CSZ. Mt. Meager erupted violently roughly 2,400 yrs BP and there was a suspected full rupture on the CSZ ~200 yrs before it. Mt Adams last erupted around 940 AD, and there was a suspected CSZ rupture ~200 yrs before it. Mt. St. Helens famously popped in 1980, and again, 280 yrs after the 1700 rupture of the CSZ. All I am suggesting is this: maybe, large megathrusts provide an “instantly” available chunk of material that, over the next few centuries, melts and provides the extra necessary pressure to pop the cork on one of the local volcanoes. Maybe, what we should be worried about are those times when there is a large megathrust and NOTHING happens for several centuries…. Those may be the locales of our next VEI7 as the pressure and magma build and build and build and build with no relief and then –> “Aniakchak”!! I had it more the other way around. St Helens goes quiet for 100 years after a good quake, perhaps because the magma supply conduit is disrupted, and wakes up with a large bang afterwards. Fast subduction zones should be able to provide more magma, as you say. The Cascade zone is not particularly fast, and thus its volcanoes are not overly active. But in the US, extension (rifting) is also important as a magma source. As an area rifts a bit, pressure reduces and decompression melt occurs. Interesting: Then, does not a megathrust provide decompressional melts, just like a rift Actually, is not a megathrust just a fast rift, when viewed from the underside? The crust leaps up and forward many tens of meters for lengths that can be up to or greater than 1000km – that is a lot of cubic kilometers of space that was just “created” and decompressed in the matter of a few minutes. The reason that the CSZ has a slower subduction could be due to the tension has built up in the system since the previous rupture, no? Could it not start out quickly and then transition to a slower speed and then finally to an absolute crawl as the tension builds then restart the process again after the rupture? The JdF, Gorda, and Challenger plates are not particularly large and therefore subject to these jerky starts and stops when confronted with the NA plate? Curiosity is the best place to start and common sense is a valuable (albeit rare) commodity! Yes, the locking of plates increases stress and this stress is released in the big quakes so there is some decompression. But the movement is perhaps by 10 meter. A good rift gives extension by several kilometers. So you get MUCH more melt in a rift, and there are many rift valleys in the western US. Decompression may happen in unexpected places. For instance, after ice ages when the kilometers-thick ice cap melts (I would expect some decent activity in Antarctica, in coming centuries). After a big caldera forms. When someone moves a mountain (just kidding). Why some subduction zones are faster than others is perhaps not that well known. The age of the oceanic plate is a factor (older plates are colder and sink more easily). When India crossed the Indian ocean (obviously it wasn’t yet called the Indian ocean), it started out slowly by eventually speeded up enormously, crashing into Asia at breakneck speed (10 cm/yr or more). Why the acceleration? One suggestion is that the Deccan Traps hotspot had something to do with it, but whether that is correct is an open question. thinking of all the large Earthquakes for a couple of yeas in the Indian Ocean/Indonesia, those could replenish Toba in time ? I would look to the west coast of South America to help validate what you’re proposing. With the recent series of mega-thrust quakes (especially off Chile) since 1960 which has moved/subducted massive amounts of crust, one might expect an increase in volcanic activity inland. Would be interesting if someone knows of data showing eruptions in SA between 1900 and 1960 and another from1960 to present. Agreed that the time elapsed since the mega-thrusts and any possible volcanic response is much shorter than the ~200yr lag time you’re data seems to be indicating. But then again, that’s the CSZ and not South America. Here’s the only authoritative data/paper I’ve been able to find regarding any possible linkage of earthquakes and volcanic unrest in South America. 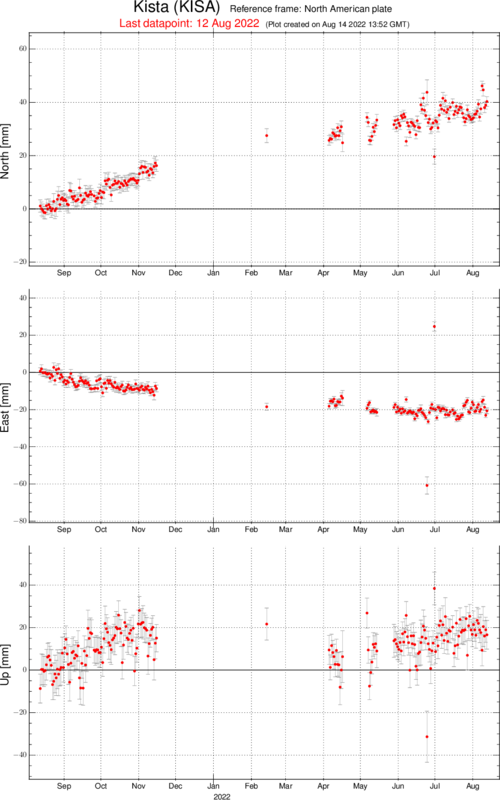 The case for any direct cause-effects is quite nebulous (at best), however the spike in the raw number of Andean eruptions between 2000 and 2009 is quite suggestive that this period was significantly more active than at anytime dating back to 1800. Now, whether or not all the mega-thrust quakes since 1900 (and especially since 1960) are related to this uptick in eruptive activity is certainly still wide open for discussion. 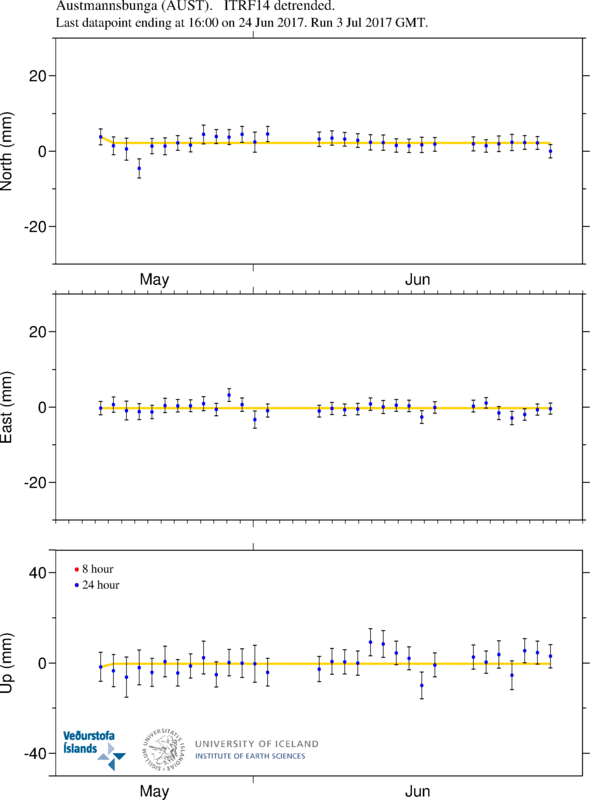 Also, what the paper’s data lacks is an accurate accounting of eruptions following the 8.8 Maule megathrust. Would the Phlegrean Fields/Vesuvius, Etna, Santorini, the Eifel Volcanic field in Germany be good candidates for a VEI7 eruption? Etna: Probably yes, VEI 6 should be possible, but not now (also no repose period, etna is the most active european volcano right now. Santorini: yes, but not in the near future, Santorini needed to be rebuilt after its last mega-eruption. Sorry if I missed it but one factor that you also may need for a VEI-7 is an unstable edifice. How much of the output from large eruptions is new magma vs older lava? Which suggests that stratovolcanoes are more likely candidate than shield volcanoes. I was also pondering how much of the output is magma, versus rock from the overlying mountain. If most is magma, the majority must be older. The rate at which magma is formed just isn’t high enough. But if most of the output is the exploding mountain, a larger fraction of the (less) magma may be new. Do you know how it was in Tambora? A very rough estimation based on the height of the volcano before and after the eruption and the size of the caldera post eruption, she lost about 40km^3 volume. This compares to reported eruptive volume of 38km^3 to 41km^3. If my calculation is correct / reasonable, the reported eruptive volume may be on the low side. That is most of the output from Tambora seems to be mountain. Not sure if that would be entirely correct. Eye witness accounts told of hot / incandescent erupted matter which implies some new magma. And another question… the Hawaiian islands occasionally have HUGE mass wasting events. Big enough to almost send water over the top of some of the other islands. It that considered a Caldera type event, or something different? Not remotely related to caldera formation; key to caldera is emptying/destroying magma chamber in v.large eruption and consequent subsidence. Mass wasting events are pure gravity/physics/stability on the periphery of the edifice AFAIK. Off topic. Deep M7,7 near agrihan volcano(mariana islands). And as the Mariana islands are US territory, this may be the largest US earthquake for 50 year? The islands are also volcanic, so we can may see whether major quakes trigger volcanoes. Both Pagan and Agrihan look like serious stratovolcanoes and are within 10’s of km from the quake and aftershocks. fun to look at the difference in arrival time between the p and s wave of the Mariana quake at dyn, over 11,000 km away. Albert, You raise an important question: “we don’t know how resilient a country living in a Just-In-Time economy is to such an eruption. If no one keeps stockpiles because transport is so fast it is easier to order from a distant factory, what happens when flights are stopped, roads are impassable and engines are killed by volcanic ash? “. I learned form a talk delivered by a fellow Liverpool prof that UK supermarkets have just two weeks food in stores or warehouses, all the rest is in transit. And it is commonplace nowadays for customers to use supermarkets as a larder or freezer, storing little at home. So an advanced society is far from resilient. Even without eruptions global food security is in a perilous state. A big financial crisis can also disrupt the global trade and the supply of food. It´s for sure how unsustainable our present-day society is, and how strange that even in face of the awareness of this problem, society carries on as if there was nothing to fix. I remember when I lived in Iceland in 2014, in face of the alert of the Icelandic government for a catastrophic eruption of Bardarbunga (many were fearing an explosive VEI5-6 caldera event), we stocked weeks of food and water, plus a gas mask. The gas mask was especially wise! I think we only learned from that eruption how dangerous the gas emissions were. Seeing the fatality rate in the UK from the Laki eruption (tens of thousands, often farm workers) should have made that clear but reality tends to be more educational than history. Stuff like the Skaftáreldar and the following consequenses, isn’t widely known about, beside by those who are interested in the subject, for everyone else it is barely a footnote in the history books, if even that. Here we see people living right next to the risk zone, and much better proof of danger (Pompeii), who don’t seem to care a lot about possible health related issues. So why worry about something as “harmless” as bad smelling air? One for the list of potential future VEI7’s. But it is very close to Cotopaxi, and in fact Cotopaxi seems to have grown on the rim of the previous Chalupas caldera. That is common (Anak Krakatau is an example, on the edge of the Krakatau caldera), and it seems likely that there is magma competition between them. Cotopaxi is the more likely for candidate for us. Quito is a good place to avoid if you prefer to live safely. Cotopaxi is likely a bit of a somma system on the edge of the Chalupas caldera. Most of the Cotopaxi magma comes directly from it’s own supply, but there have been some past eruptions that involve magma sourced from the Chalupas system, which generally supplies more evolved magma. Even apart from Cotopaxi. Quito is high-risk; It’s on the flank of Guagua Pichincha, and in 1994 (I think) suffered heavy ash-fall (and a few fatalities I believe) from Reventador. Yeah, Cotopaxi is one of those cities situated in a pretty bad area volcanically. I don’t think there is any major risk for pyroclastic flows hitting it, but heavy ashfall and lahars could definitely affect the metropolitan area from quite a few different volcanic systems. One slightly good thing is that the volcanic systems just to east of it will likely erupt eastward more than they would westward due to the slope of the ground as the terrain moves towards the pacific ocean there. But the proximity is still somewhat alarming. At least, as a city, it’s not sitting directly on top of the volcanic system like we see in central america and Italy. at least from Grimsvotn some 10.000 years ago and possibly from some caldera forming events at Torfajokull and other events, could have approach the upper limit of a VEI6 eruption, if not crossing into the VEI7 territory. – And I remember another old Pleistocene eruption of 15km3 in an extinct volcano in the north of Iceland, west from Akureyri. Can´t remember the name. Some 55+ million years ago, the North Atlantic Igneous Province might have produced a VEI8 eruption of 1000km3+ So thinking a VEI7 for Iceland is not out of possibility. This is sort of true, but 55 million years back, Iceland was monumentally different than it is right now. The main factor behind the series of eruptions (which include the potential vei 8) were that they were occurring at extremely shallow sea level, with phreatomagmatic interactions possibly playing a major role in the scale. Of course, even with the interaction of water, you still need a magma supply large enough to source 1200 cubic KM of magma, so that piques my interest that there were ever magma chambers that large in the North Atlantic Igneous province. Where did that VEI8 eruption happen in the NAIP? I have no idea, probably near Greenland and in sea, and such a distant event has nothing to do with present day Iceland. The main point is that Iceland in fact did already produce some very large eruptions (VEI6) at least in the last few thousand years, so who knows what could have done in the tens of million years before. Namely the Grimsvotn Saksunarvatn event right after the end of the ice age, 10.000 years ago, could have produced above 100km3, but in a serie of eruptions within just a few centuries, with the probabably being very high that one of these events was at least 20km3. Another 20km3 event was at Torfajokull ring-faulted rhyolite eruption some 70.000 years ago. And there might have been other similar events before in Torfajokull. Evidence for similar-sized VEI6 eruptions also are at Hofsjokull, Katla and Krafla. And one at Tindfjallajokull (on this last one I suspected that the proximity of the ocean was a factor). The 55-million-year eruption was part of the splitting of America and Europe. The volcanism was driven by extension and rifting, and would have happened somewhere eastern Greenland. Iceland didn’t exist yet. There is something about Hekla. Most Icelandic volcanoes have done calderas and many of those have done VEI6 eruptions, even both things linked as in Grimsvotn and possibly Katla, Torfajokull and Askja. I think eventually Hekla will also go caldera, and if it does it could be very nasty. If a large normal eruption of Hekla reaches well into VEI5 territory, a caldera eruption would certainly be upper VEI6 in volume of tephra. We have a clue. Tindfjallajokull did a caldera event 55000 years ago. Apparently it was a 3000 meter high volcano before it went caldera down to 1500 meters high. And Hekla has been increasing in size and altitude ever since its birth, some 7000 years ago. Eventually it will reach such a massive altitude that it will collapse on itself. At this rate, it could need some more few thousand years until it does its caldera event. And I always find Hekla intriguing because it lies almost on the continuity of the Bardarbunga-Veidivotn-Torfajokull fissure swarm, which erupts massive volumes of magma and has done VEI6 ashy eruptions. If say a rifting event, ala Laki, was a VEI-7. How enormous an area would the lava field end up covering? A lot of that depends on how the lava flows. For the Thorsahraun lava flow, the largest lava flow on earth in the last 10,000 years (originated from Veidivotn), the flow seems to have been significantly elongated. It stretched from the Veidivotn fissure, and reached the atlantic ocean near Eyjafjallajokull. The volume of that was I believe around 30-35 cubic km. A vei-7 (not entirely accurate since it wouldn’t be explosive) fissure eruption would be enormous, but even that would be difficult to tell how large an area it would cover since it depends on thickness of the lava flows. It would be safe to say it would cover a large region around the dead zone, and likely spill over into the ocean. You can assume a typical thickness of the lava of 50m. For a 50km3 effusive eruption, that gives a surface area of 1000 km2, i.e. an area of 30 by 30 km or if elongated, it could be 10 by 100 km. The VEI scale measures volume only and applies equally well to fissure eruptions. There is a different scale for eruption energy which applies more to explosions. This discussion has been mainly about explosive volcanoes as their effects are more widespread. Still the sulfur from Laki affected much of the north Atlantic region so these eruptions should not be ignored..
Somewhere, I ran across a formula for estimating sulfur emision based on TiO2 to FeO ratios. I think it was in a paper about Megacatastrophies/megadisasters and how to relate them to Martian landforms. The formula was geared specifically toward effusive magma flows. That’s about all that I can remember about the paper. If I run across it I’ll link it. My greatest concern from Icelandic volcanoes, at the moment, would be an eruption at the SW fissures of the Bardabunga system. Which criteria does it meet? I see the opposite – no criteria being met. Mid Ocean ridges simply do not erupt in explosive violent fashion. In general true but that depends on the depth of the ridge. Iceland is a counter example. How far is Kuwae from there? Iceland’s explosive volcanism is primarily due to being on a hot spot, not a result of being on a mid ocean ridge (although the MAR probably provides some extra fuel). Also, the depths at mid ocean ridges prevent any eruptions from manifesting on the surface. Not many volcanoes can produce a vei 7 just as most supercells don’t produce a f5 tornado. This is my selection: Large ‘isolated’ and/or ‘offset’ volcanoes: Kilimanjaro, Baru, Tupungato, Izta , Apo. Nobody’s mentioned Ararat yet. Large volume, magmatic eruptions post-dating human settlement in the area, but only one (phreatic?) eruption in historic time. And wouldn’t that stir up the Christian fundamentalists in the USA! At least shaken. But it is not a US christian web site. I saw Ararat from the air last month. It is an impressive mountain. Well, that site isn’t, but I first spotted it on one. Just couldn’t locate the original link I used. I was phone surfing at the time. Any idea what the signal at 05:13 is? At first I thought it was a distant teleseism from a large quake, but at a closer look it is only visible at a few stations and it seems centered around Bárðarbunga. Also, it is less pronounced on the 2Hz high-pass graph. Tremor? My apologies if someone has already flagged this, but New Scientist has a feature on underwater volcanoes: https://www.newscientist.com/article/mg23130840-500-thar-she-blows-how-we-wired-up-an-undersea-volcano/ . Makes for an interesting read. The island of Brava, located south of the archipelago, the neighboring island of Fogo, recorded since Monday “abnormal seismic activity”, and the authorities are preparing for the event to happen a possible volcanic eruption. The information was released today in Cape Verde Radio (RCV) by councilor for the area of Urban Planning and Civil Protection of the Municipality of Brava, Francisco Tavares, indicating that, on the orders of Civil Protection, the National Police (PN) is already in location of Cova Joana to raise awareness about 300 people to the need for a possible evacuation. Probably not what you want to hear if you’re someone who lives there or nearby. There are no known eruptions in the holocene here either. The expert explains that the volcanism Brava “involves magmas that have a different composition from what we have in the Fire Island.” “These magmas are much more viscous and more rich in gas, so the style of eruption will be totally different. More violent, more explosive. and all the north central part of the island is full of craters. Vila Nova Sintra, Cova Joana, Lima Doce, are recent explosion craters, involving such phonolitic magmas and also interaction with underground water that makes explosiveness increase “, specifies. It is also highly possible that this eruption does not happen. “So at the moment the only thing we have to do is go following the situation, see how seismicity evolve and be prepared to evacuate people in case of the outbreak be even imminent,” says José Madeira. Brava is at risk of major landslides. They have occured there and an area on the coast on the west (north of the bay of Faja d’Agua) has been reported to be at high risk. There are fractures which have already opened, and although not active at the moment, earthquakes could dislodge a substantial slide estimated at 0.06km3. There is a small village on the coast which would be at risk, either directly or more likely from a resulting tsunami. The current earthquake swarm is at the centre of the island but not that far from there. Do you know if there are any public webicorders for Brava? I didn’t see anything. Interesting paper on the Volcanic Hazards of the Cape Verde Islands. Brava goes boom when it does erupt. One other complex that remains scary only because it has erupted rather spectacularly in the past, was only recently determined to be eruptive, it is massive (5km +), and has not gone boom for around 1,100 years. AND, it remains relatively un-studied. Mount Churchill. It has a large-ish caldera – at 4300 m – and it is easy to believe that it could have a VEI6 or VEI7 under there somewhere. So I compiled a brief non-comprehensive list of the largest eruptions of the last 10,000 years to see how common big edifice caldera producers were. Having a big or steep edifice definitely seems to play a role, but judging by the past 10,000 years, we would have a much higher chance of picking the next VEI-7 eruption by choosing a past offender. I only have 6 results from the last 10,000 years that feature volcanoes that have the large edifice feature that can lead to a caldera in a volcano’s life cycle. On the other hand, at least 7 have come from previous caldera offenders. The one caveat here is that many of the previous caldera offenders were likely large stratovolcanoes before their initial caldera phase. With that said, if you were to make a pick, it would possibly be wiser to go with a caldera volcano, even if it does not have a sizable edifice. It was also one of the highest mountains in Indonesia. One does not exclude the other, perhaps? Toba also had several major eruptions. It may depend on time scale. Over 100,000 year, multiple VEI7’s may be possible from the same magma reservoir. Over 2000 year, perhaps not. Yeah, there is obviously going to be some amount of recharge. I think something to keep in mind is that the volcanoes that regularly produce the largest eruptions typically sit inside extensional environments, often inside a subduction arc. These types of volcanoes don’t always form major edifices, although sometimes they’ll produce stratovolcanoes around ring fractures. I would definitely say it could be pertinent to consider past caldera systems with decent sized sommas as possible future offenders. There are many to choose from. Even Aira / SakuraJima are potentially strong candidates (and we know Sakurajima can go much bigger than it has with past VEI-6 eruptions). Yes quite a lively day today in Indonesia. I travelled there just a few months ago. I was actually at one of the 3 volcanoes that began erupting yesterday, Mt Gamalara in Ternate island. It´s a beautiful conical volcano island, that erupts quite regularly every decade. The other volcanoes around the region are very active, from what I could hear, a few years ago there were 3 erupting volcanoes within 100km, that´s quite impressive! Interestingly the region is remote and little visited, as I found to my surprise. Neighbour to Ternate island, at Helmahera larger island, Dukono is constantly erupting since 100 years, being probably the longest active erupting non-stop volcano in the planet. That is explosive, of course. I saw this eruption earlier this year. It erupts as VEI1-2 but often as VEI2-3, which I did see. I dont think any other volcano in the planet holds this record. On my holidays I missed the eruption of the famous Mt Bromo, I arrive in the area just 3 days after it finished, still I could see the smoke and gas, and the more threatning and very tall stratovolcano Semeru in the background also steaming. For me, Semeru is a dangerous volcano in Indonesia, and one can should expect a major eruption from it; its also one of the best candidates for the next Tambora-like event. Rinjani erupted also this week, but this one already erupted a few months ago, so if I would have been lucky I would also had catch this one. I dont think RInjani would do another big eruption anytime soon. I would worry more with the neighbouring volcanoe Gunung Agung at Bali, which is pretty tall stratovolcano and in my opinion it is a very good candidate for the next global caldera-forming VEI6-7! Agung has done a VEI5 in 1963 and another in 1843 and nothing else is known about it. The other currently erupting volcano is Sinabung, which has featured several large eruptions over the past months. I meant VEI 6/7, of course.. Fat finger syndrome. 4.0: lets see what they make of it finally…. Repeated episode one goes with ongoing uplift of the wider area. Intriguing. Time will tell if the uplift continues. Very darfty and windy place indeed. Max surprise if it quits. 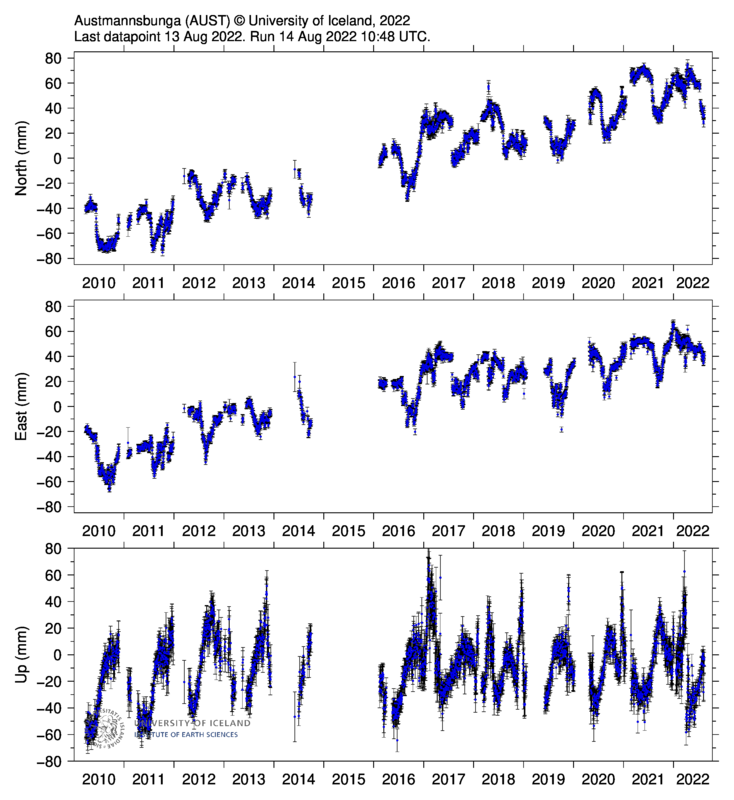 We are nearing same time of the year (maximum Glacial melt) as was time start of Epic One. Perhaps there is a deep intrusion at Bardarbunga at the moment. It could also explain the larger quake, on its shallowest chamber at 6km deep. And over to Katla, can anyone explain the wavy GPS here? Changes in glacial thickness due to melting and re-freezing. Look at the seasonality of it. Isn’t the station located on solid rock? Didn’t realize this. Either way, there is some pretty clear seasonal relation going on here. Every July, there are drops on the recordings here, a pretty clear weather related pattern. I would potentially say that the load from the glacier could be exerting pressure on the rock? If the glacier shrinks seasonally, perhaps it would put less pressure on the rock around it? Or it could be heat expansion. Funny how every July it moves sharply south west. I guess that is the rock warming up and expanding a bit? That being said, the AUST detrended doesn’t look too much different. So checking if there are cracks in the glacier, doesn’t sound totally far out. They took really good pictures last time. Will have to keep an eye out if they do.